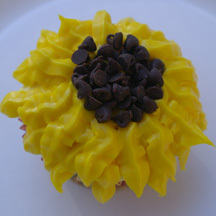 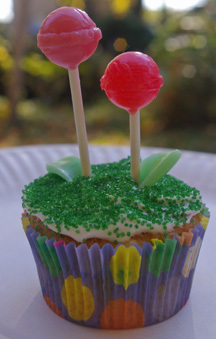 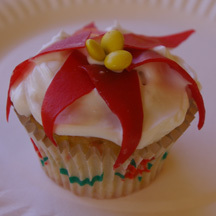 These sunflower cupcakes are especially easy if you use premade icing in an aerosol can like I did. 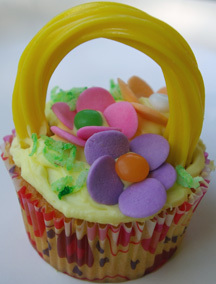 Great for summer or anytime. 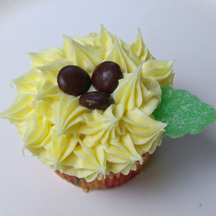 What You Need: 1 cupcake; yellow icing in can or icing tinted yellow and pastry bag; leaf tip (comes with the can); mini chocolate chips. 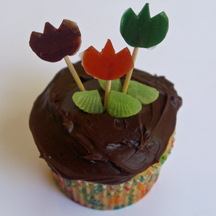 How to Make It: Using yellow icing and leaf tip, make a layer of petals around the edge of the cupcake, and then a second layer overlapping that. 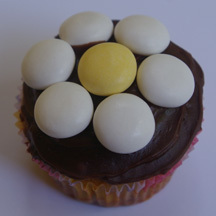 Sprinkle chocolate chips in center.